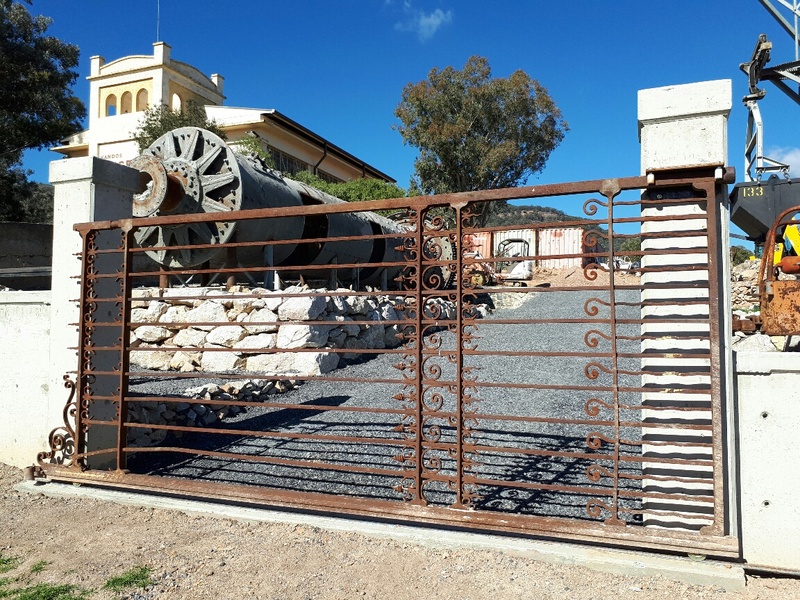 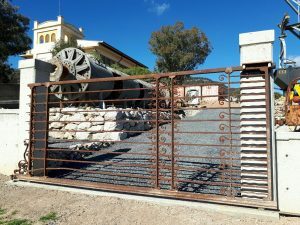 Paul Toole MP and Bernie George will be marking the completion of the museum’s landscaping of the outside display area with a ceremonial cutting of the ribbon and the Opening the Gate. 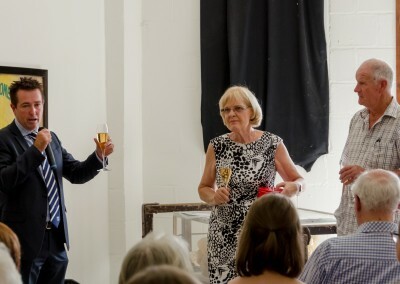 Light refreshments will be severed afterwards. 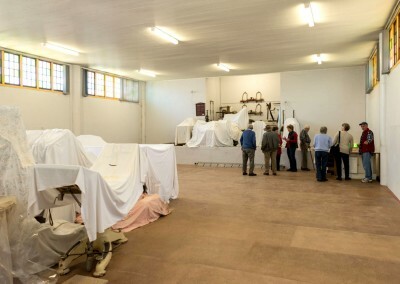 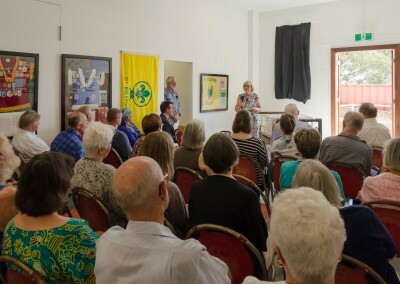 Members of the museum and their guest welcome. 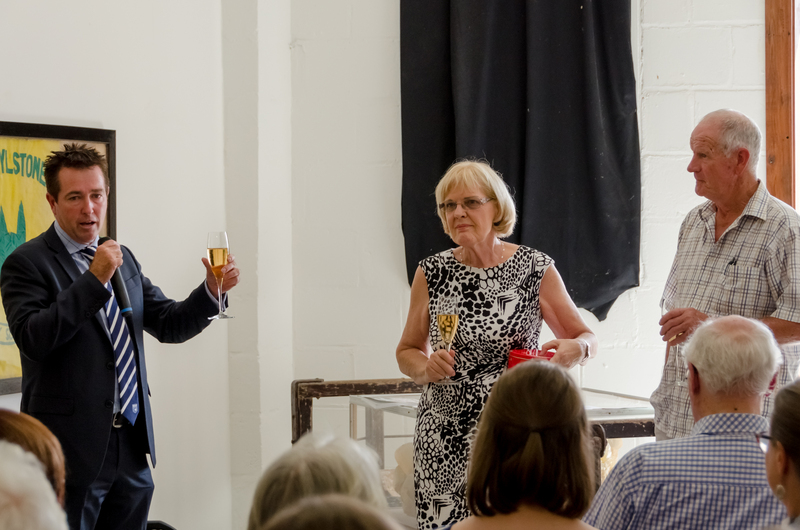 The essential ingredients of any great party are fantastic music, delicious food and good wine! Starters made from local produce will greet party goers from 6pm and from the BBQ, butterfly leg lamb with roasted kumera and mint yoghurt dressing. 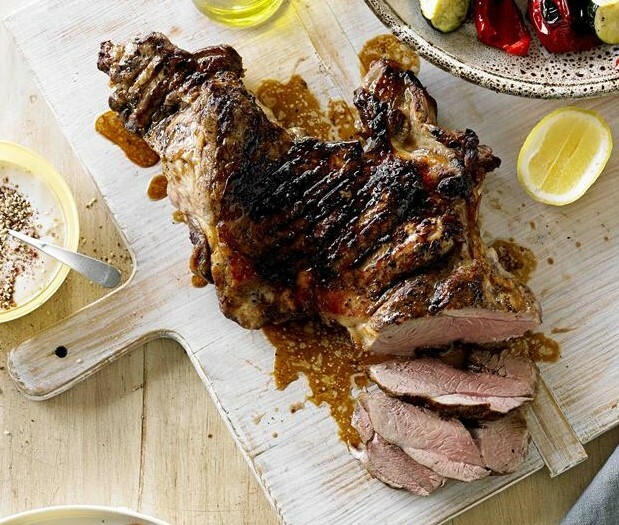 So good that you can only do it justice is to eat it standing up. 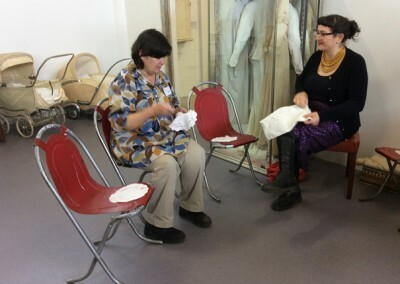 And to finish up handmade cannoli and coffee. Complement your dinner with a wine from renowned Kandos-Rylstone producers, Naked Lady Wines and De Beaurepaire Wines or if you prefer, a beer from our selection. 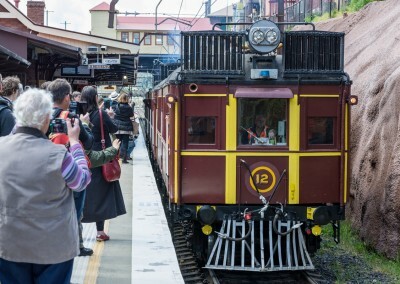 Your ticket includes your first wine or beer with addition service available from the bar. Local talent Pete Foerster and Andrew Ross combine to give a great blend of blue/soul/country to delight your ears and keep your toes tapping. 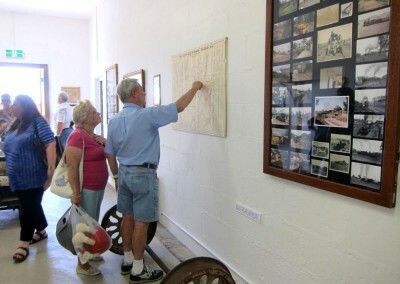 And what a great way to visit the museum! 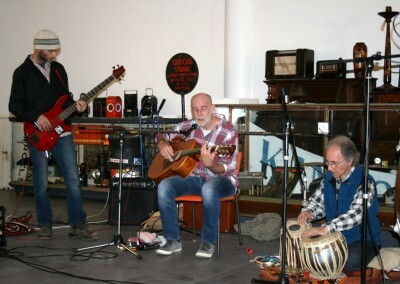 What a great night it was!!! 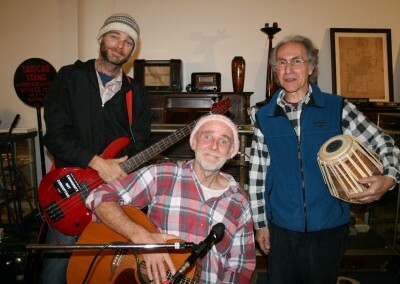 The 3-handed Beat Bandits were fantastic, as was the food, wine and company. 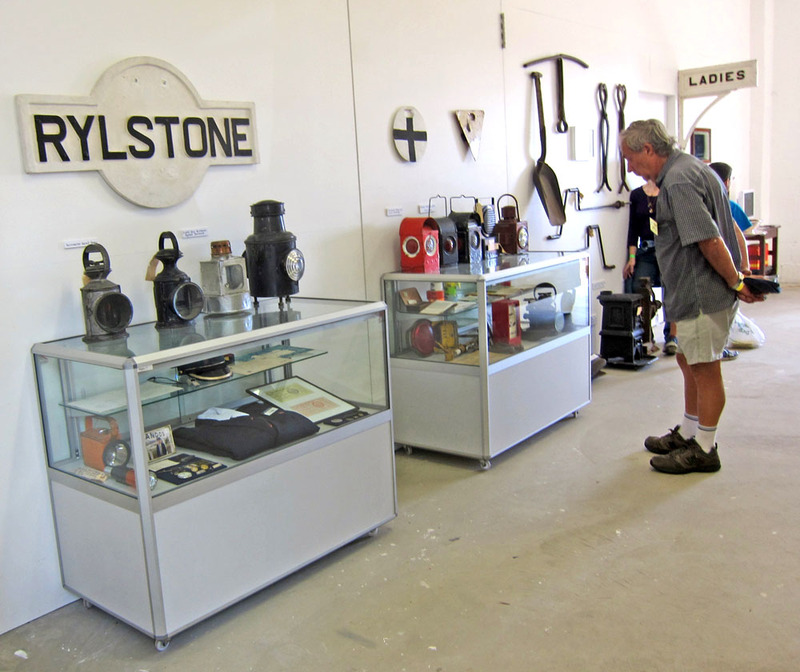 A must for a return visit! 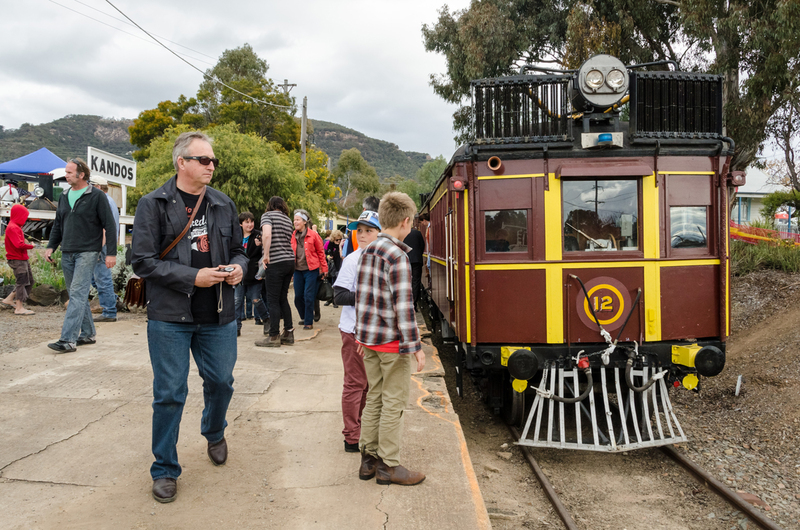 What better way to take in the Kandos Garden Fair than by train aboard the beautifully restored Railmotor Set 661/726. 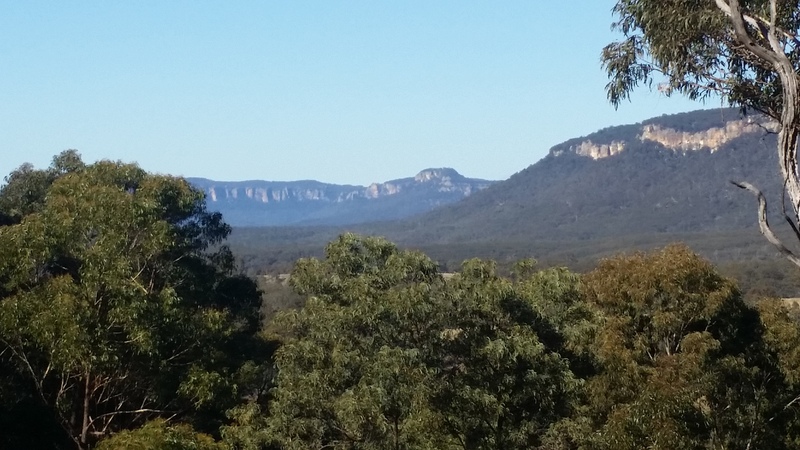 Ride the LK&R Line from Lithgow to Kandos through the magestic Capertee Valley. 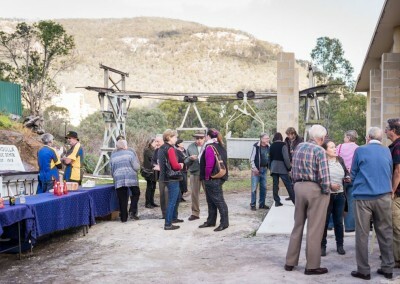 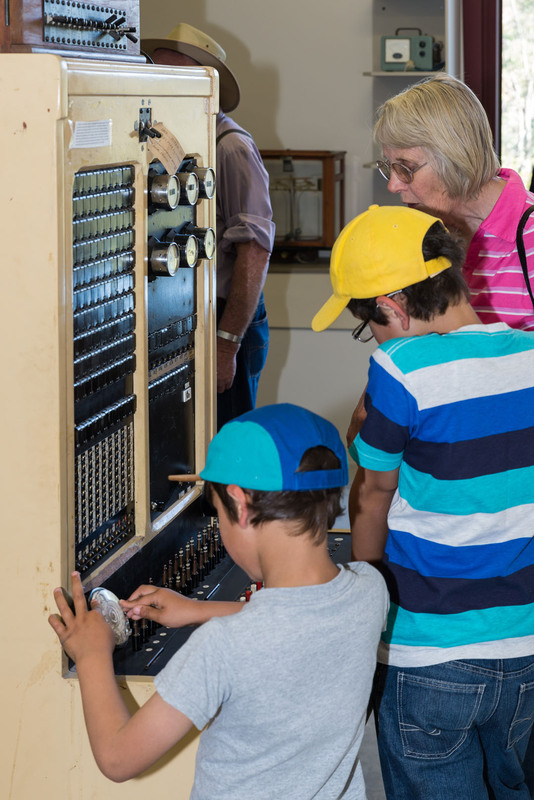 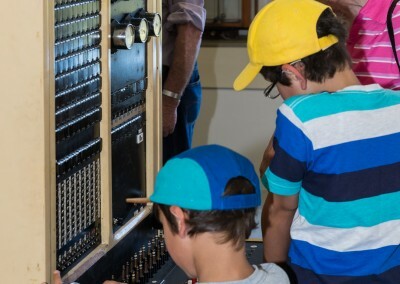 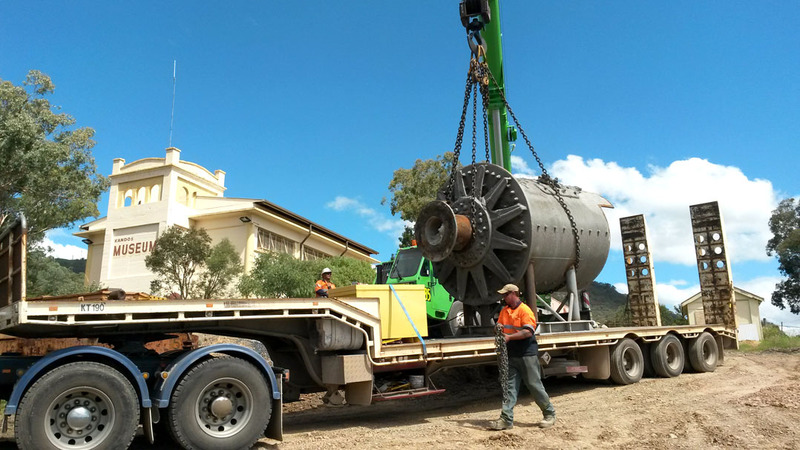 Kandos Museum, Lithgow State Mines Railway and Kandos CWA have teamed up to bring you a special day touring the gardens of Kandos. 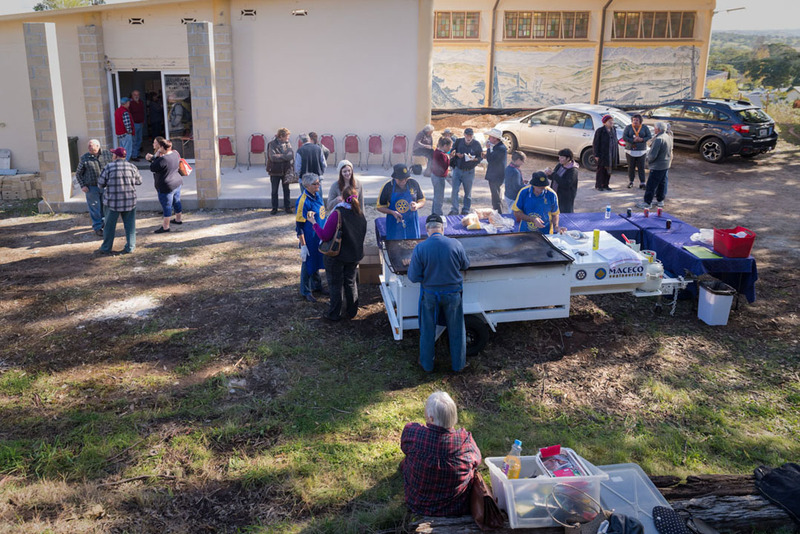 With 11 open gardens in around Kandos & Rylstone, guest speakers Costa Georgiardis from the ABC Gardening Show, Diego Bonetto wild food forager and Fiona Ogilvie from The Land, the Kandos Gardens Fair has something to delight the experience gardener and the novice alike. 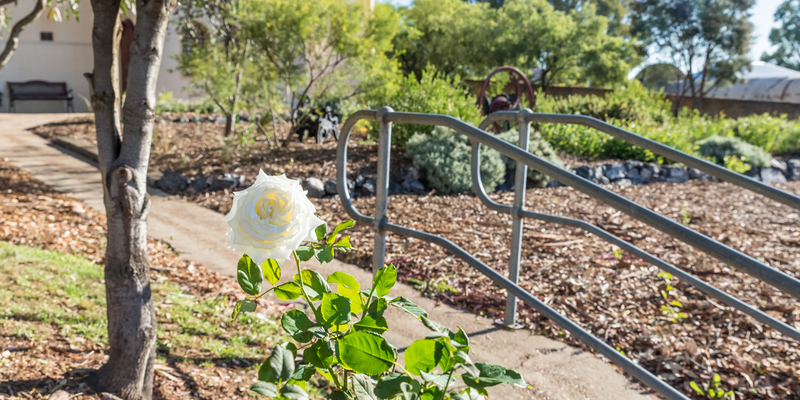 Take in the self-guided garden tour of garden objet d’art, sculpture, nurseries and over-the-fence attractions. Your Kandos Garden Fair Train Tour includes your visit to the Kandos Museum gardens with museum entry. 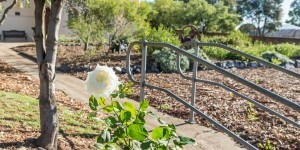 Entry to the open gardens in Kandos and with hop-on hop-off courtesy bus taking you from railway station to garden to garden and back again. 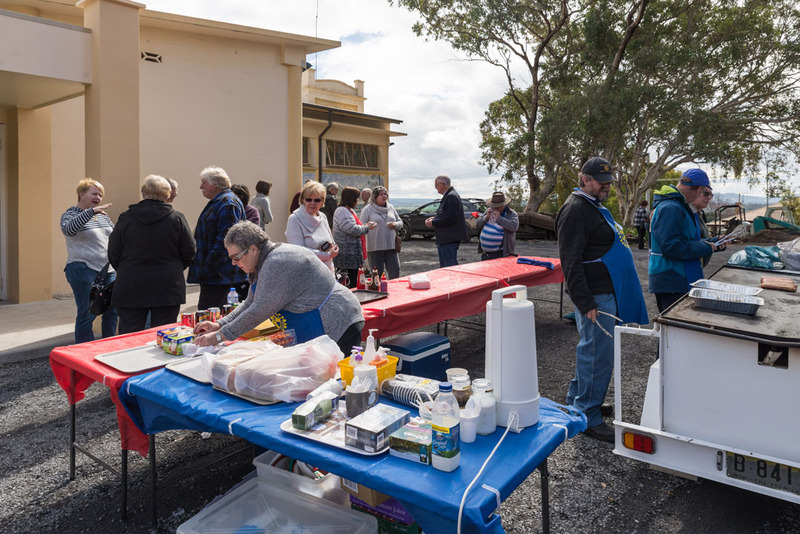 Experience real CWA hospitality. 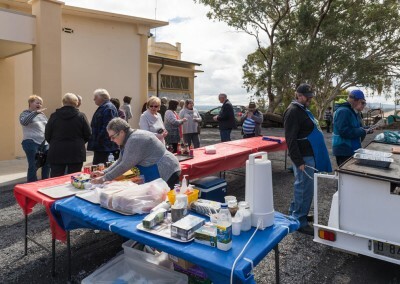 Your tour also includes your luncheon of sandwiches and baked goods along with tea and coffee in the Kandos Museum gardens. Most excellent cappuccino by Zensational Coffee will also be available at the museum. 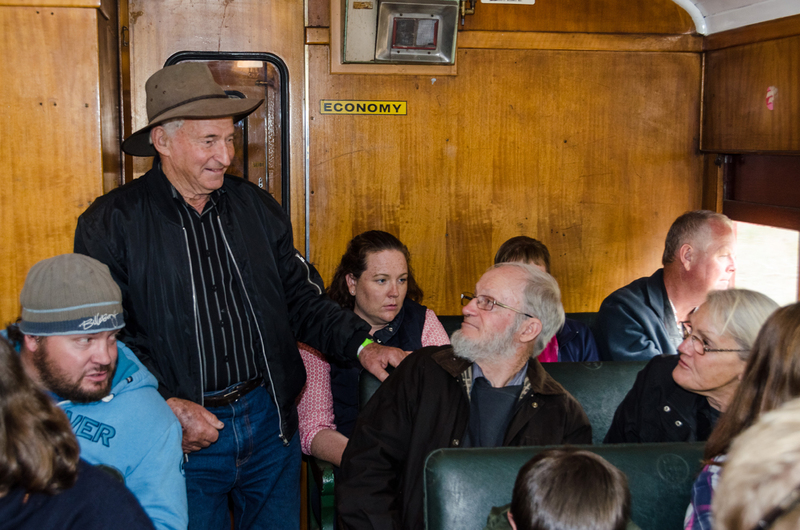 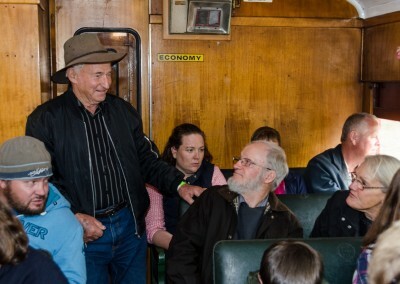 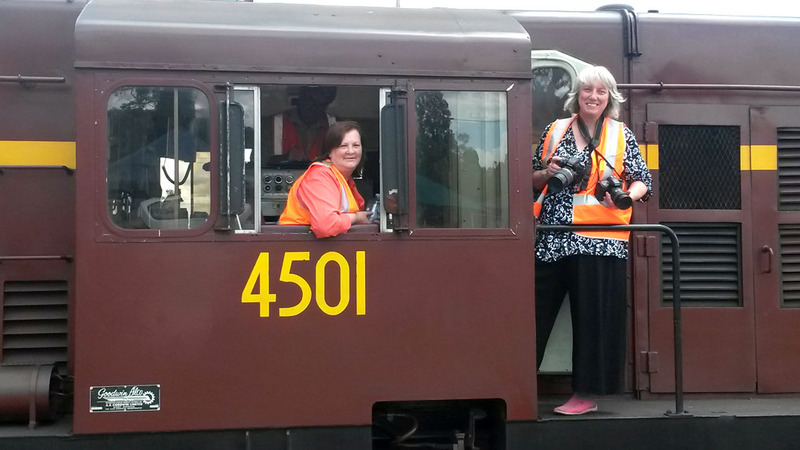 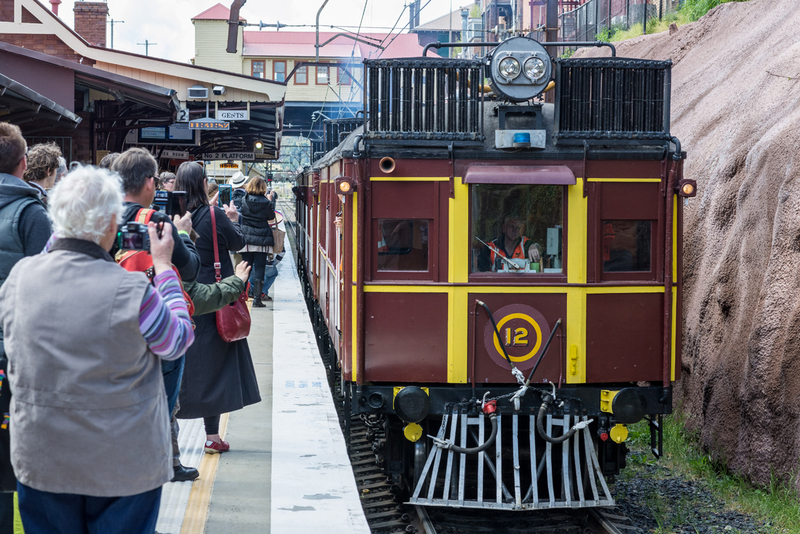 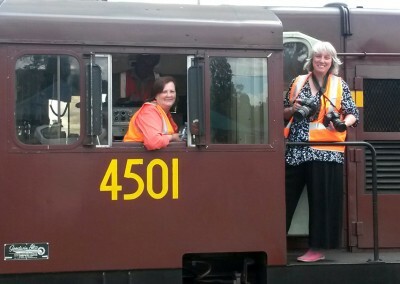 Join us and ride the rails from Lithgow station to Kandos Station through the spectacular Capertee Valley aboard the beautifully restored Railmotors 661/726. 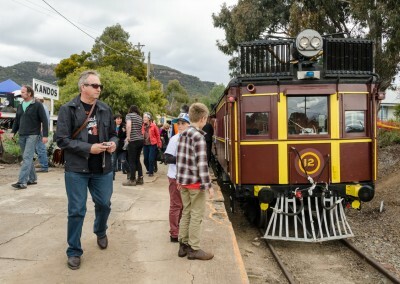 Starting at Lithgow Railway Station, your journey takes you past Wallerawang before heading north-west past the Gardens of Stone National Park and on to Pearson’s Lookout at Capertee. Through the Capertee Tunnel and on into the valley with its myriad views and points of interest. 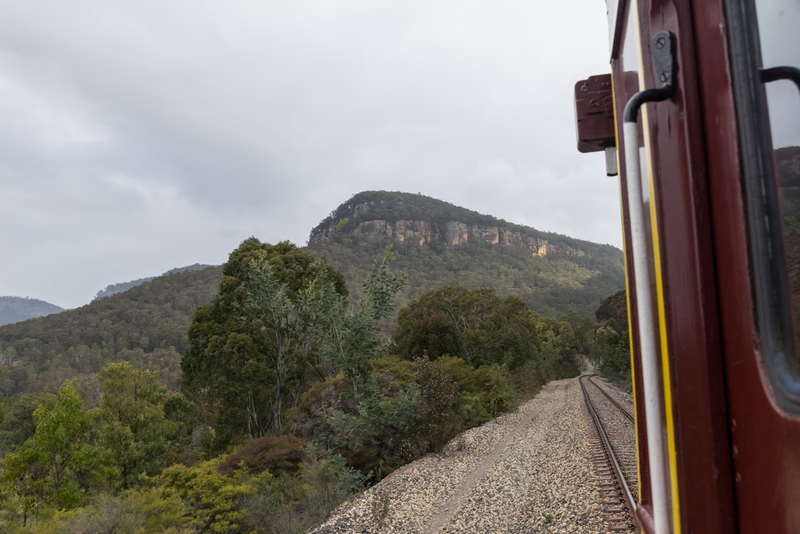 Climbing toward Carlos Gap and through a second tunnel to Brogan’s Creek where steam trains once watered looking out over the lower reaches of the Capertee Valley. 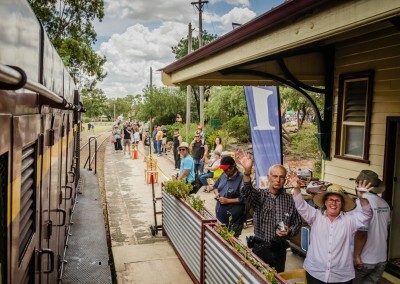 After revelling through the beauty of the Capertee Valley its a short ride to the Kandos Railway Station where a courtesy hop-on hop-off bus to ferry your around the Kandos Gardens Fair! 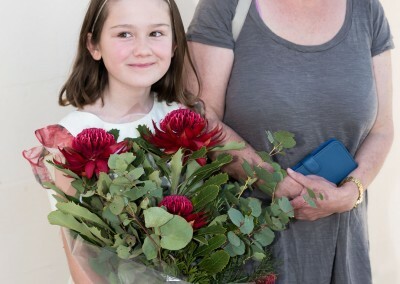 See you at the Kandos Gardens Fair. 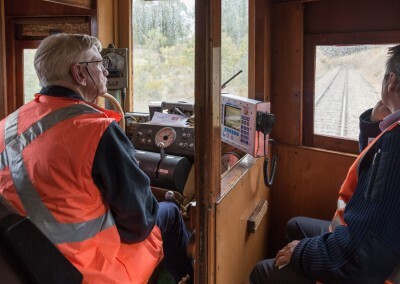 Carlos Gap Tunnel and return. 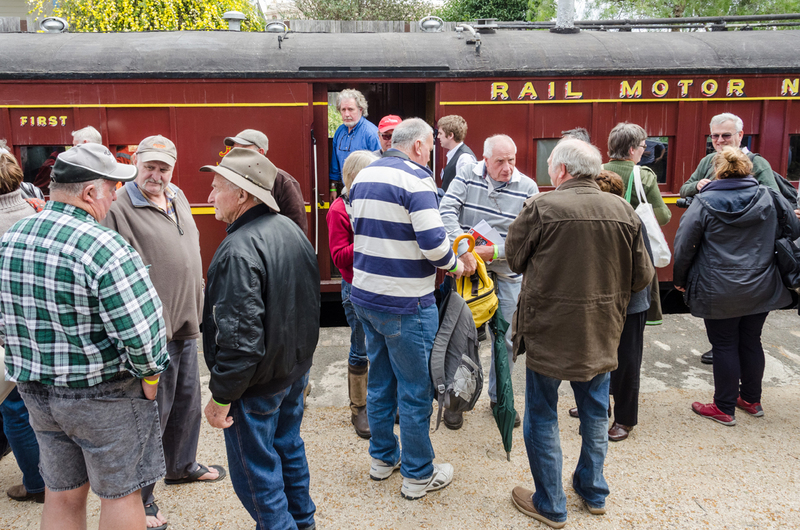 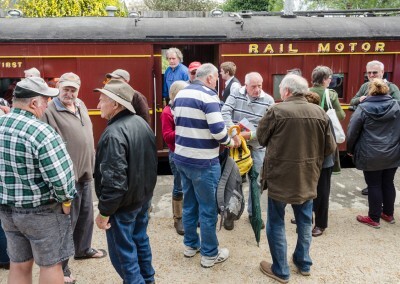 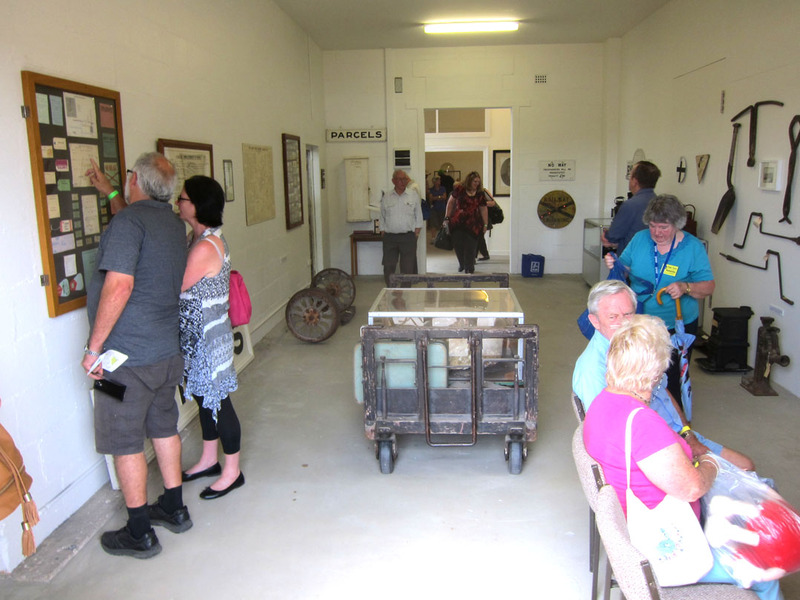 motorail – the Rylstone Rambler! 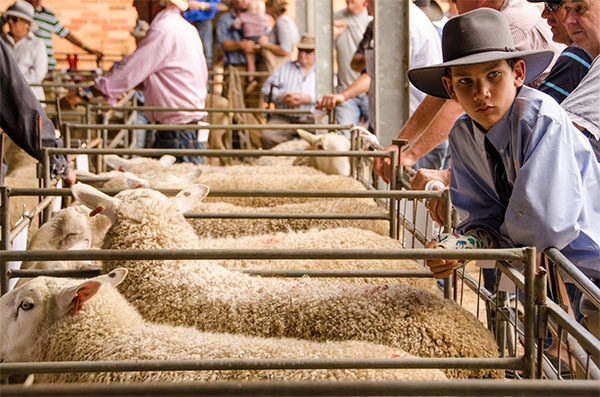 Ride the Rylstone Rambler from Lithgow Station and spend the day at the friendliest country town show in NSW – the Rylstone-Kandos Show! 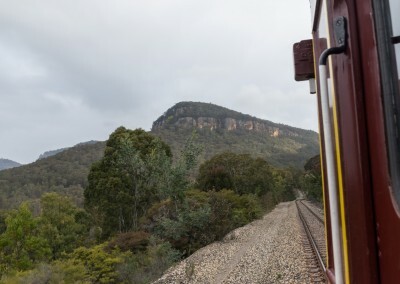 On your journey you will travel through the spectacular Capertee Valley, the world’s widest canyon aboard the lovingly restored Railmotor set 661/726 – the Rylstone Rambler! 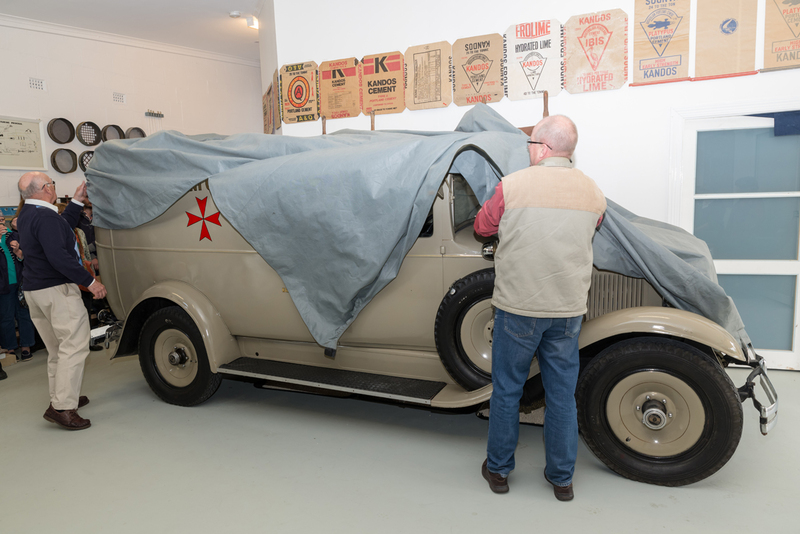 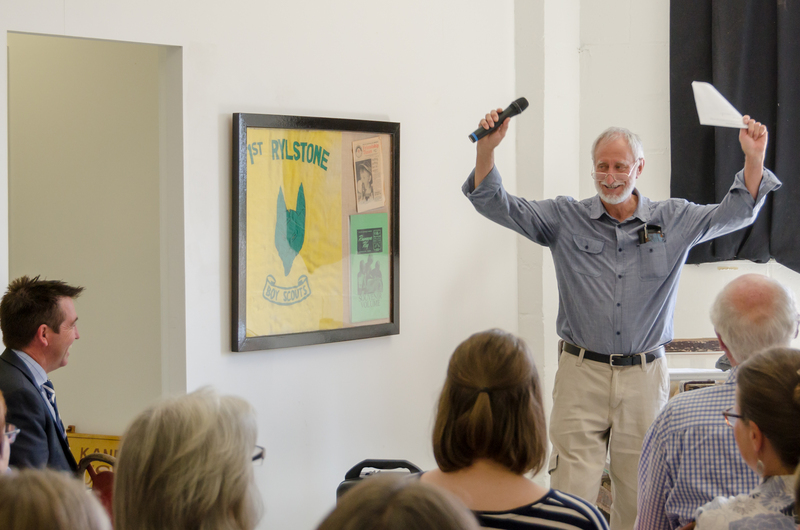 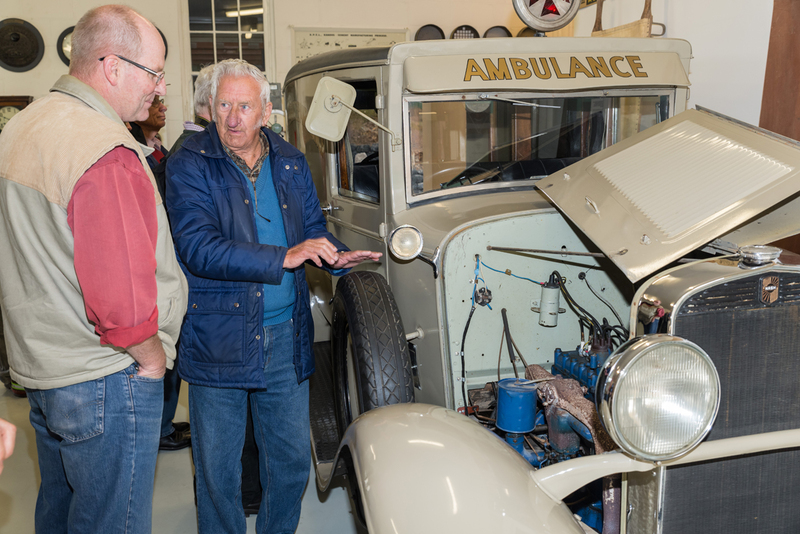 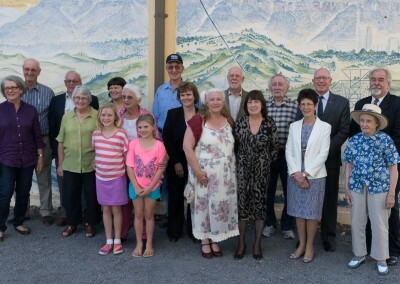 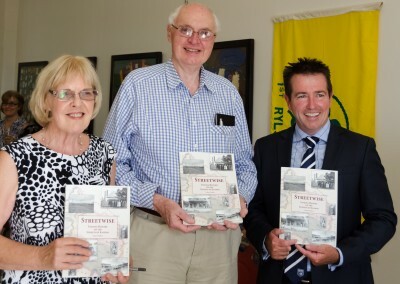 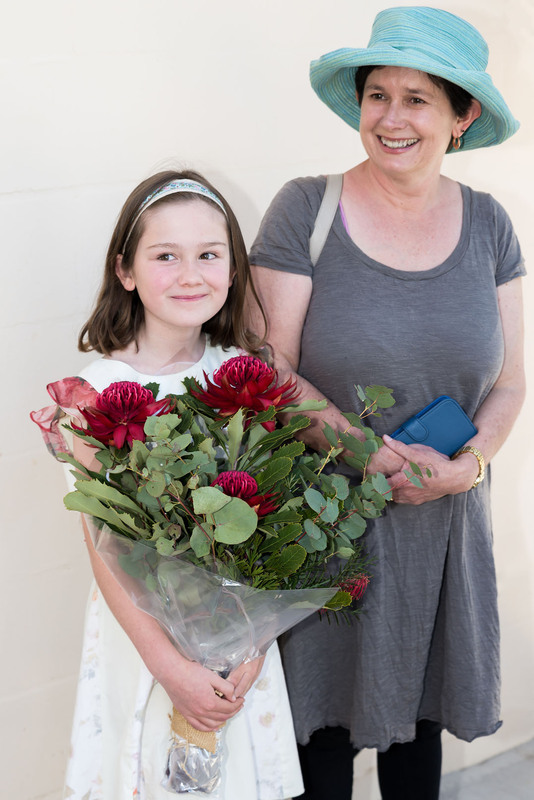 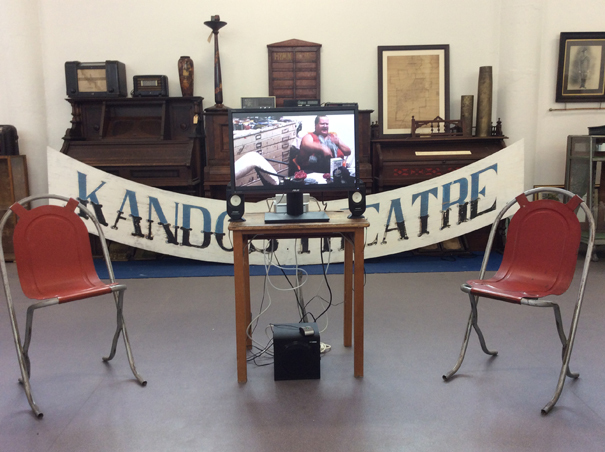 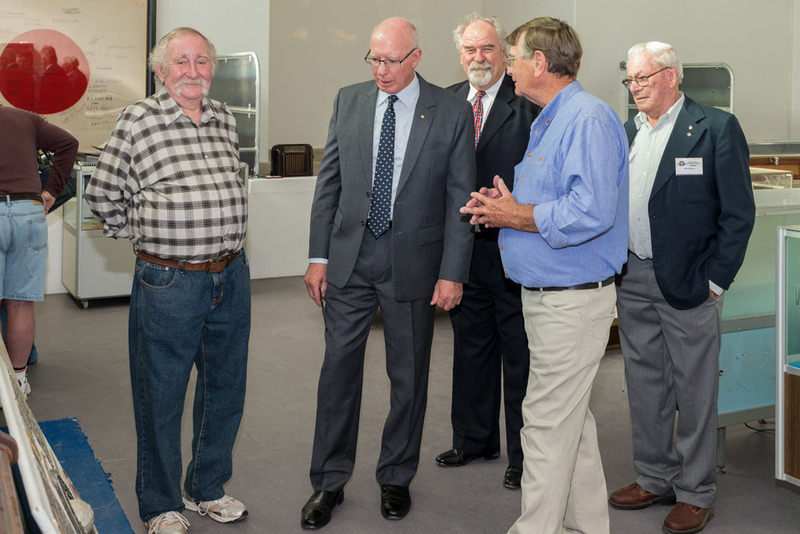 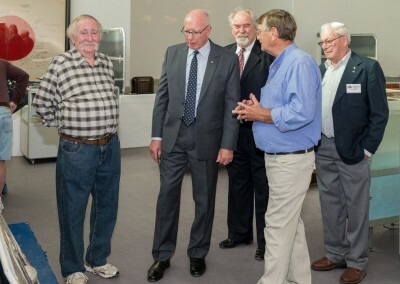 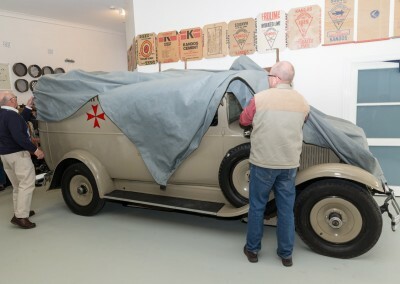 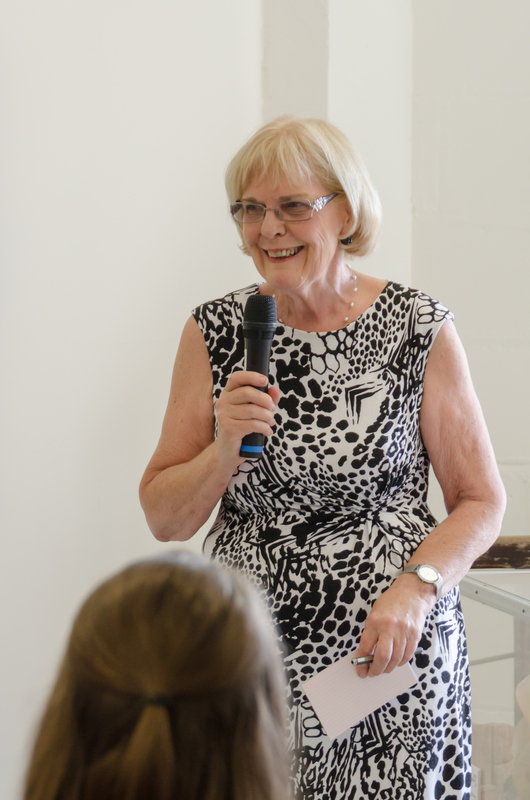 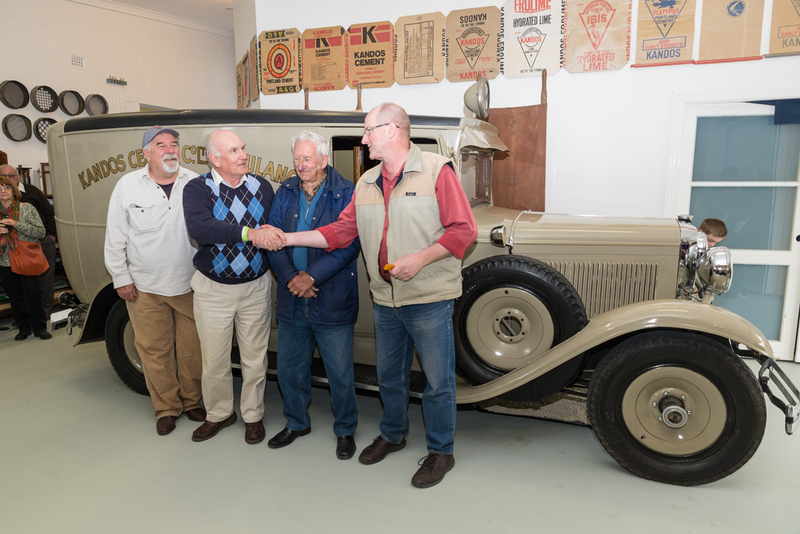 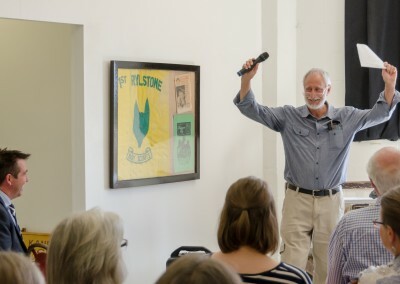 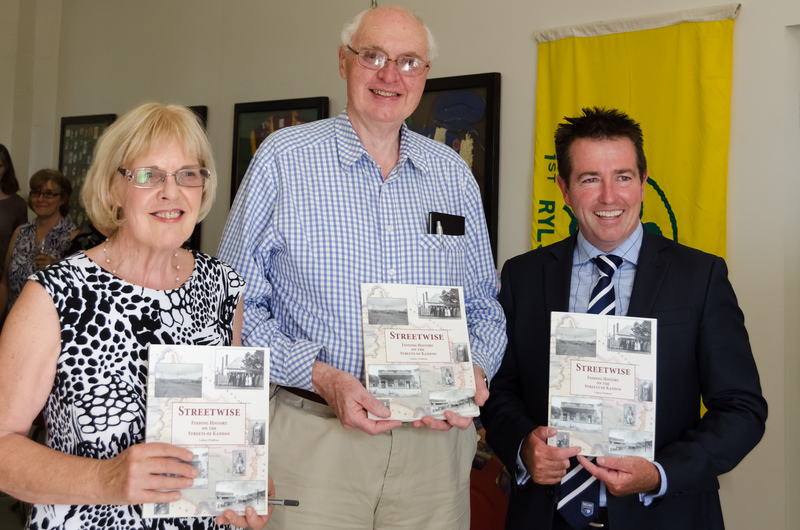 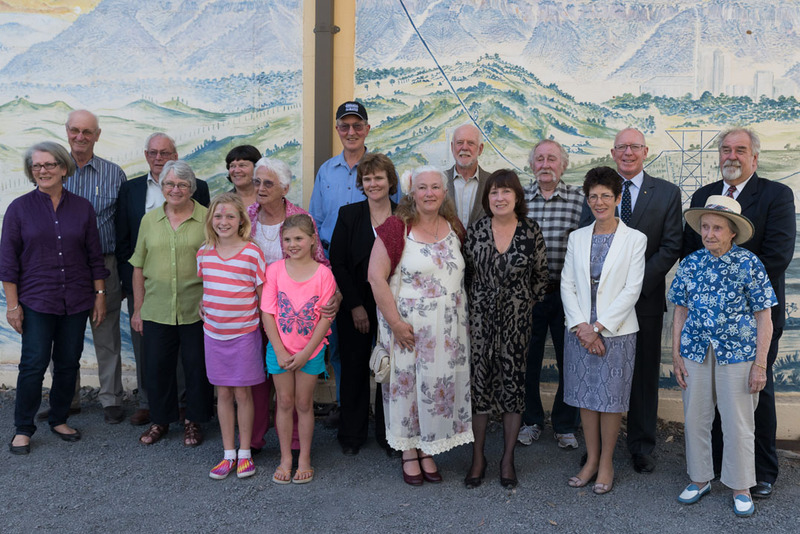 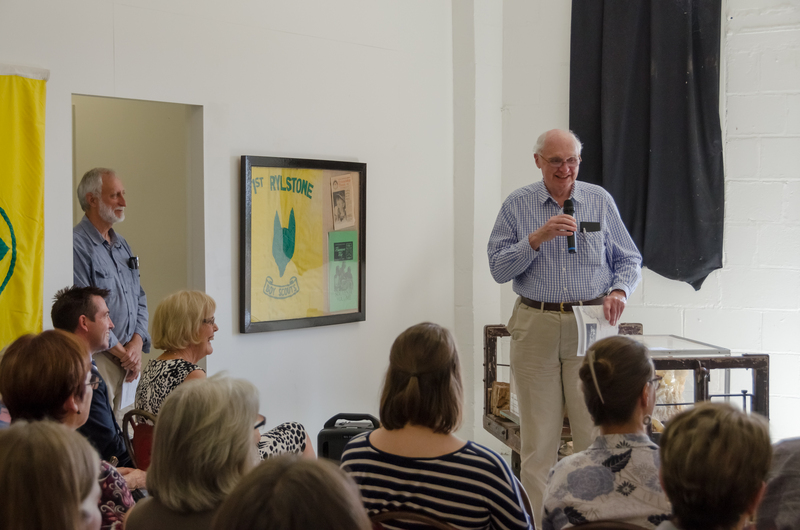 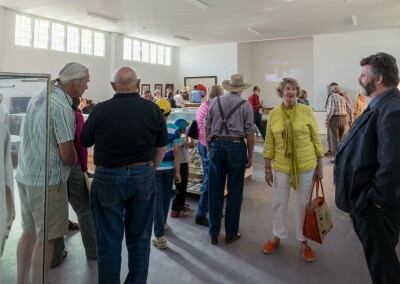 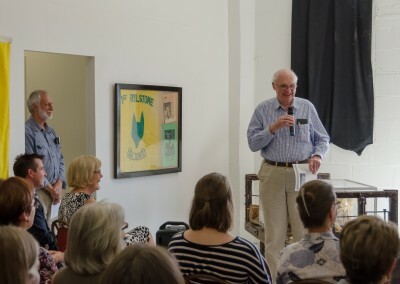 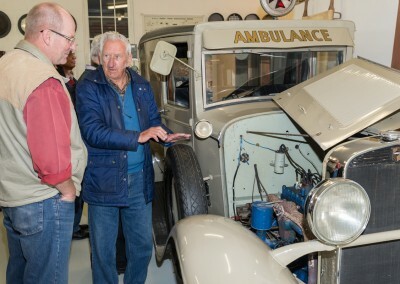 Streetwise – the Book Launch was a great day with lots of old and new friends at the Kandos Museum. 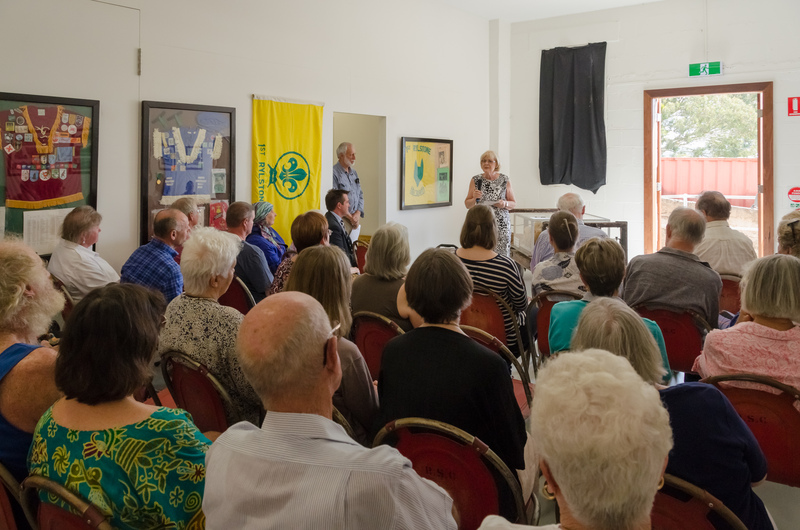 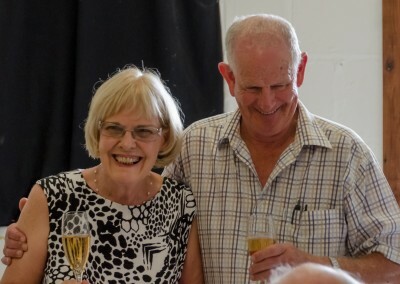 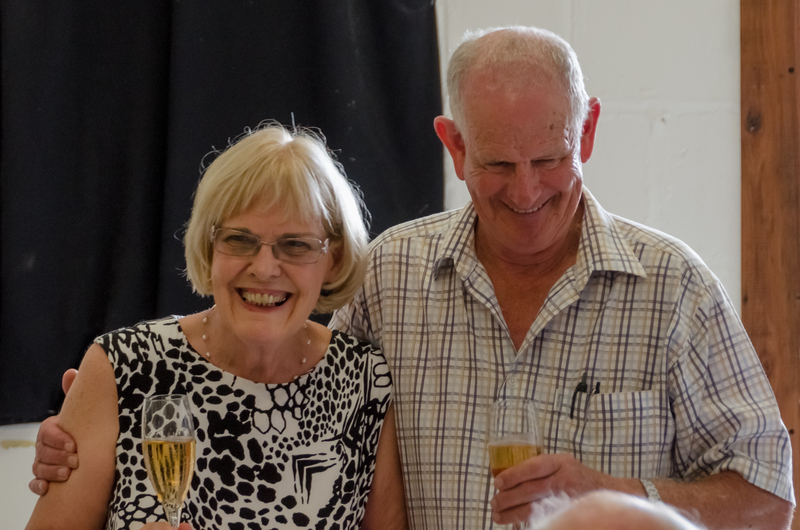 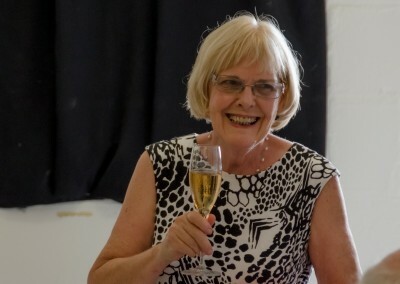 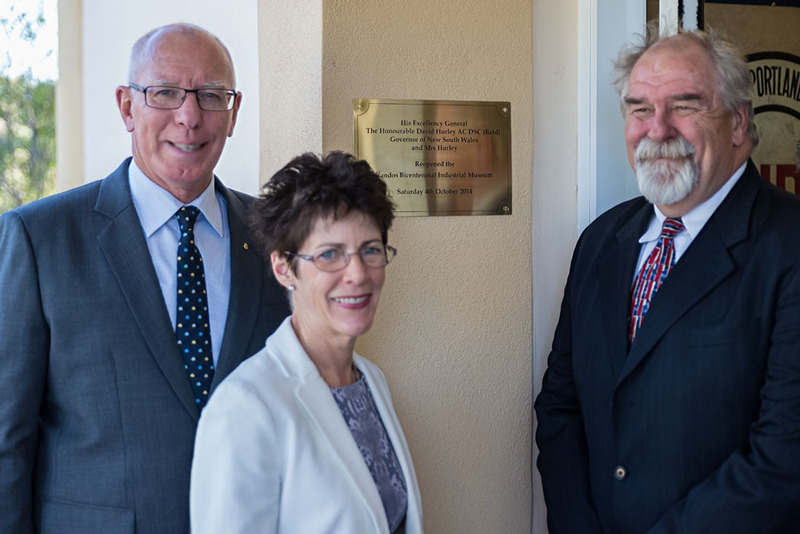 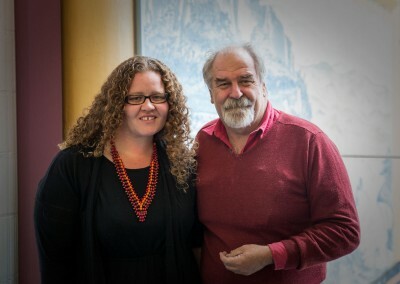 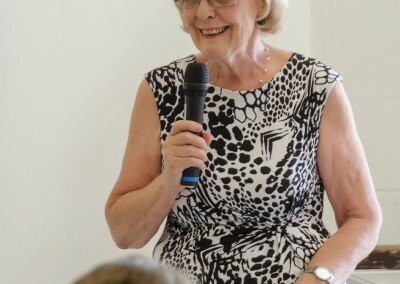 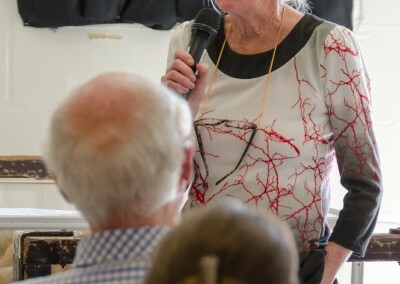 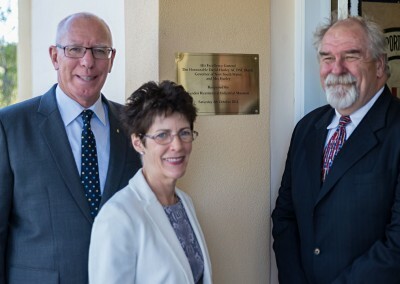 Lyn Syme Welcomed to Country those at the museum, Brent Barlow was master of ceremonies, Percy Thompson gave us a song, Prof. Bob O’Neill AO launched the book and Paul Toole MLA gave the toast but the day belonged to Colleen, the author. 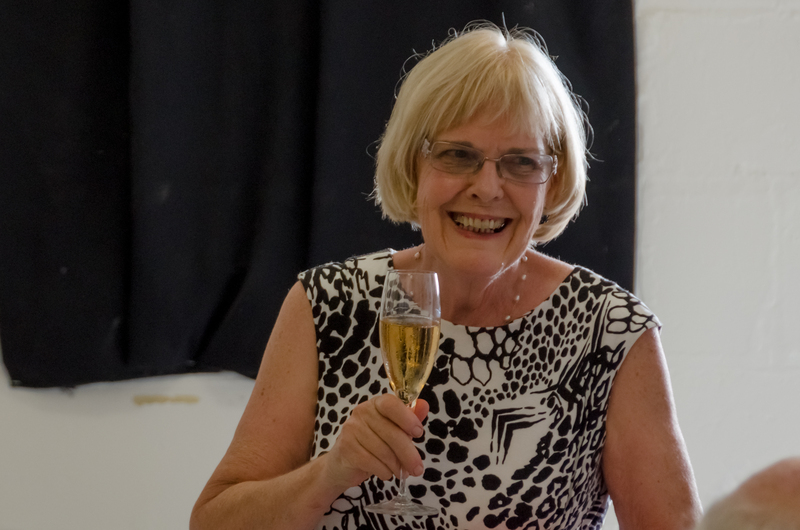 Congratulations Colleen on a resounding success! 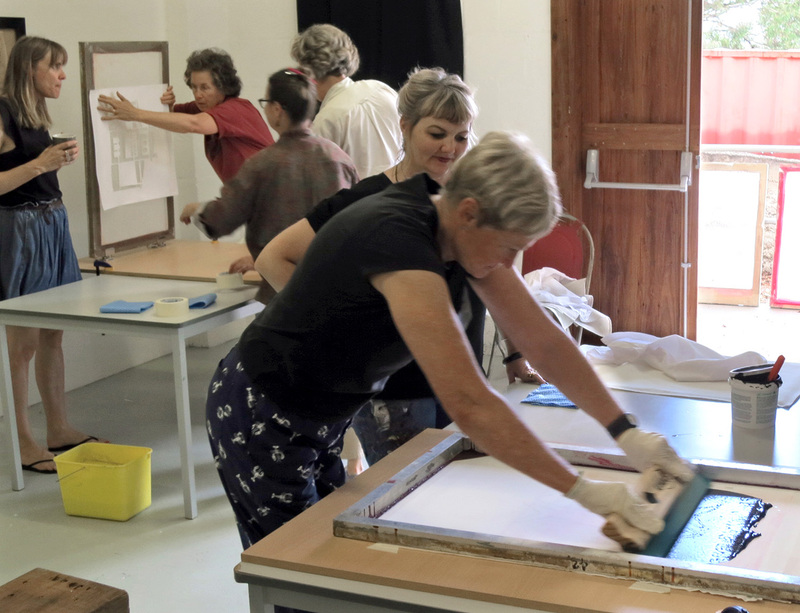 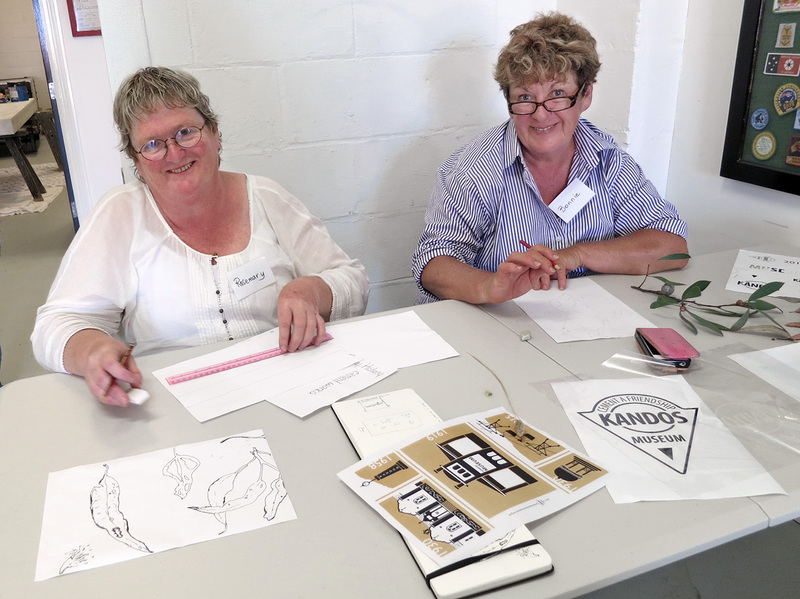 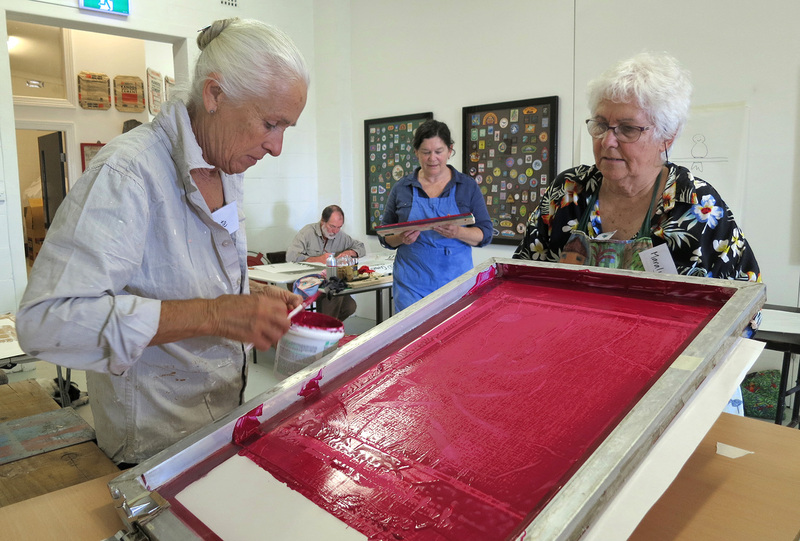 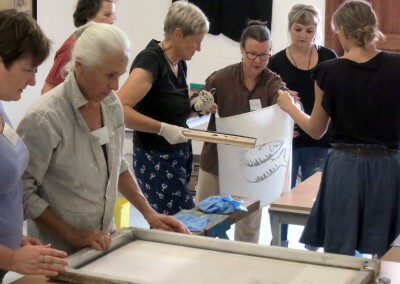 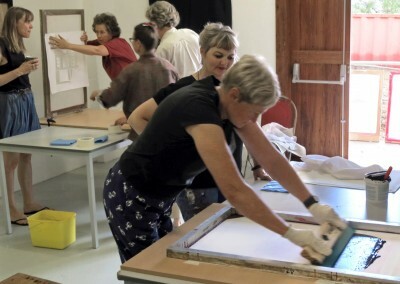 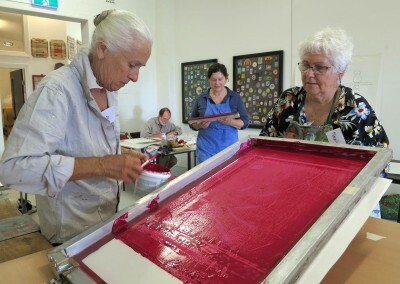 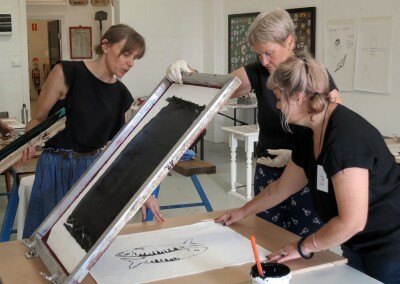 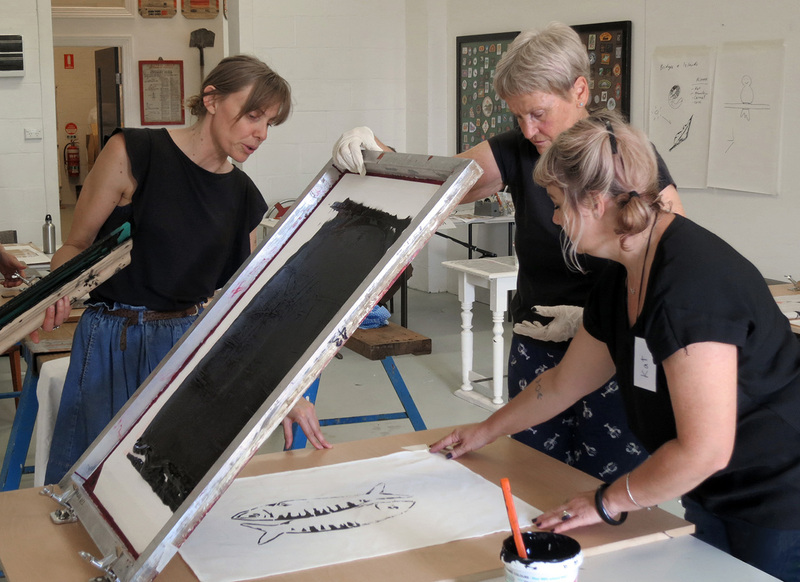 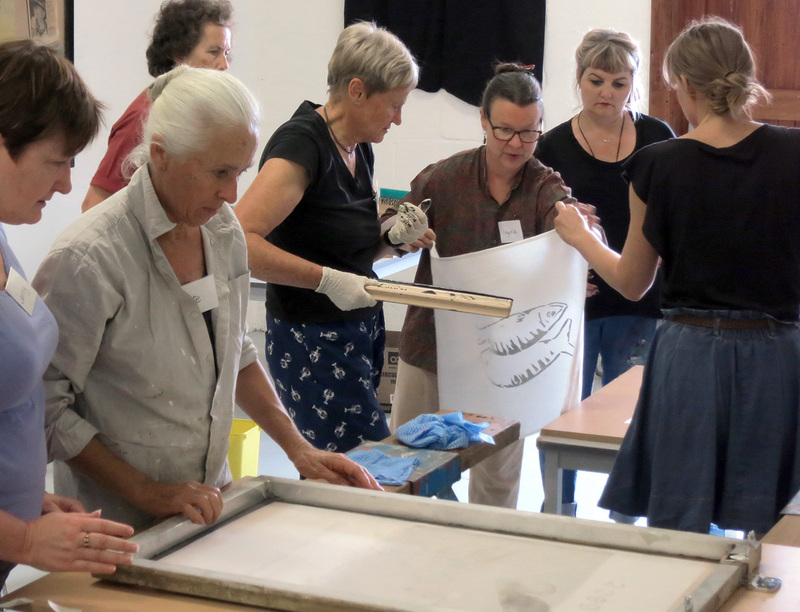 We were so lucky to have the extraordinary Wendy Murray lead our eager workshop participants through the intricacies of designing and screen printing a new range of souvenir t-towels for the museum. 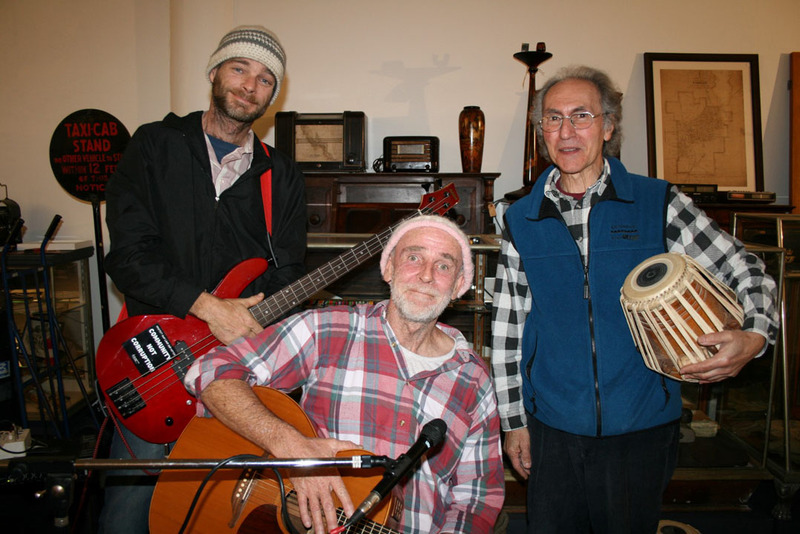 Special thanks to Orana Arts/Cafe Concrete Rylstone Soup Session for the seed funding for this initiative. Biggest thanks of all to Wendy and Kandos’ brilliant new designer printers. 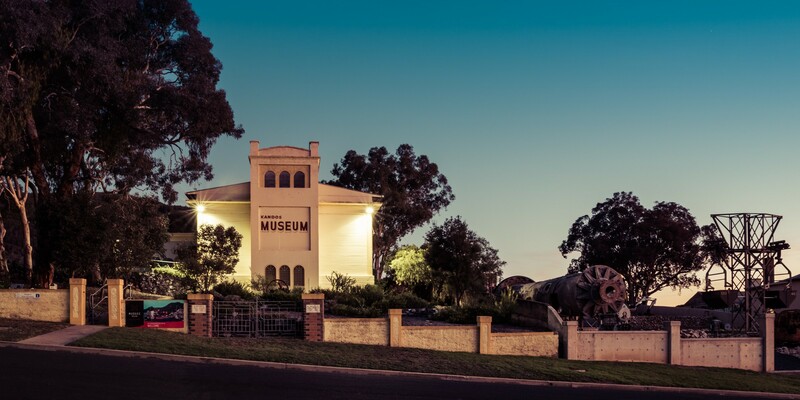 Matt Williamson Trio concert at Kandos Museum. 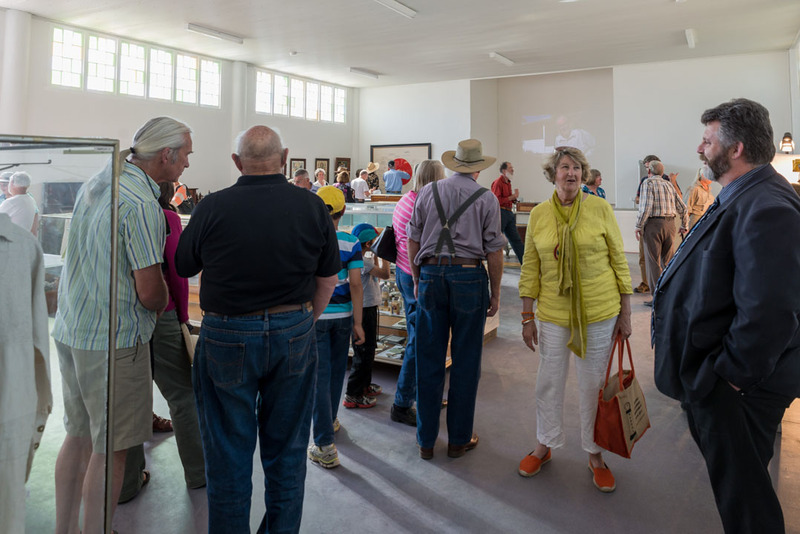 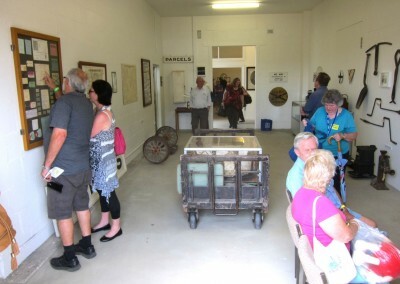 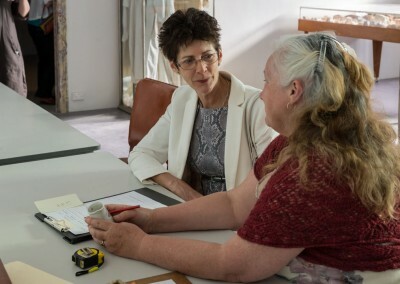 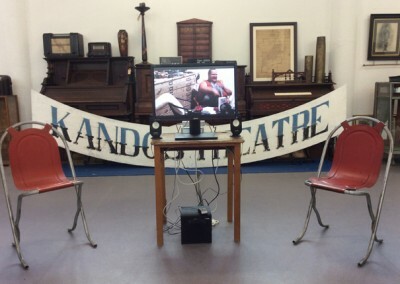 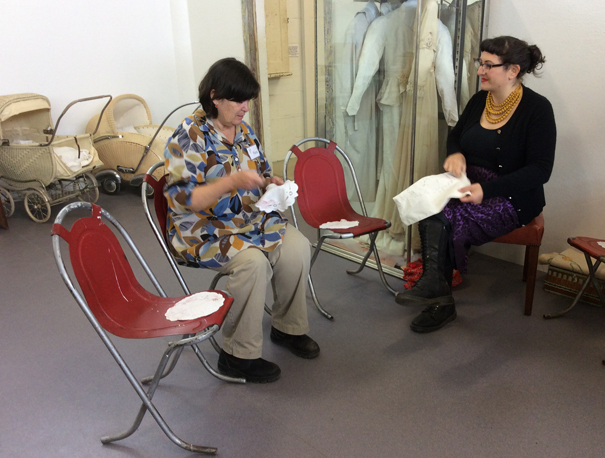 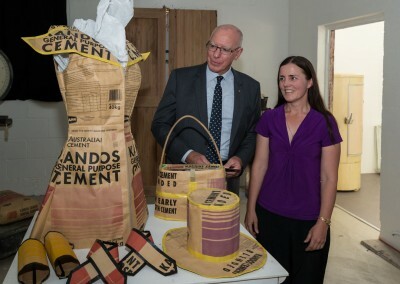 Kandos Museum was very pleased to play host to contemporary artists who installed brilliant art works and spent time at the museum talking about their work to eager museum visitors. 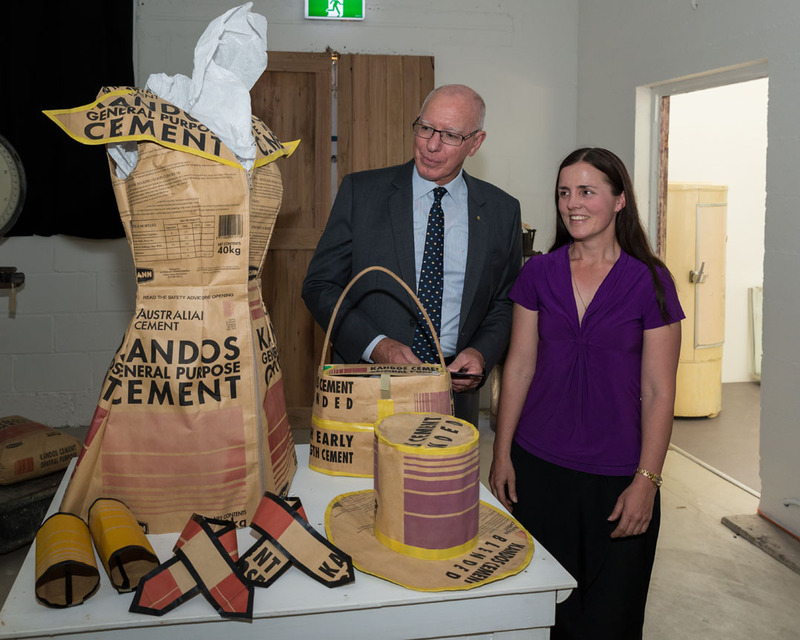 Kandos Cement Works mill no. 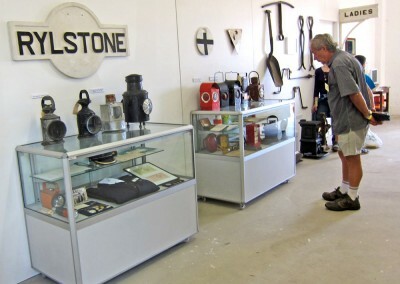 3 is part of the outdoor collection at Kandos Museum. 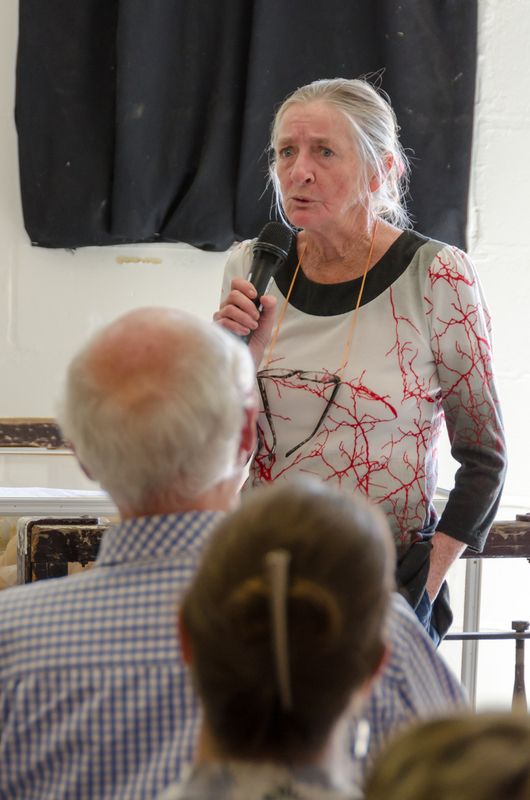 Photo: F MacDonald. 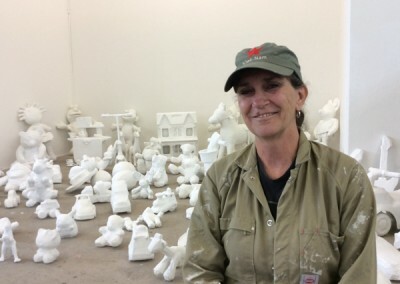 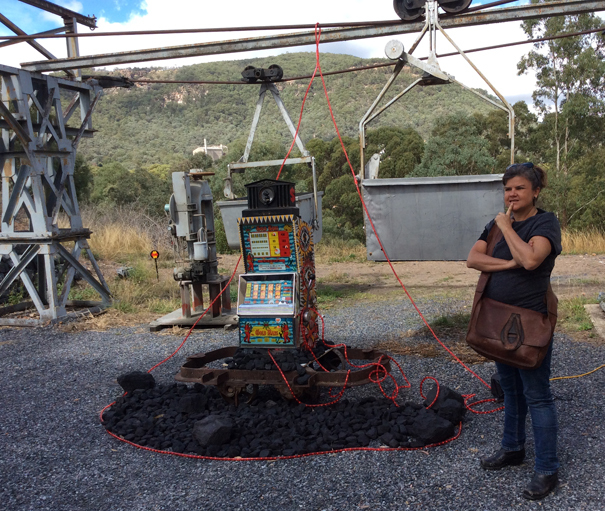 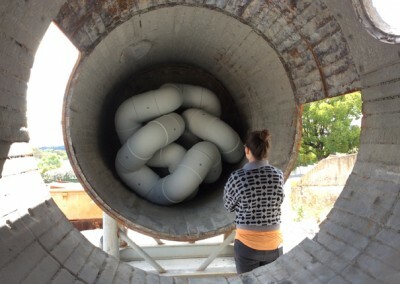 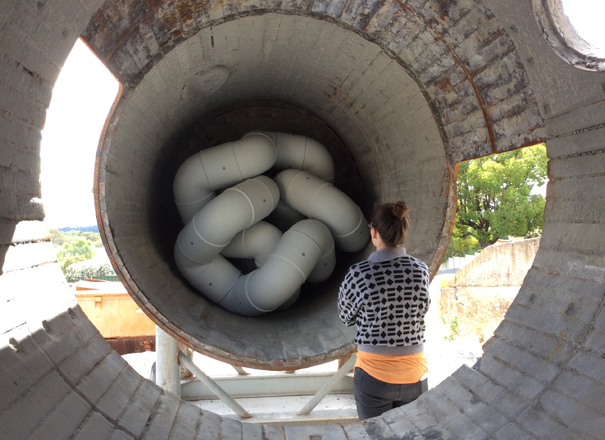 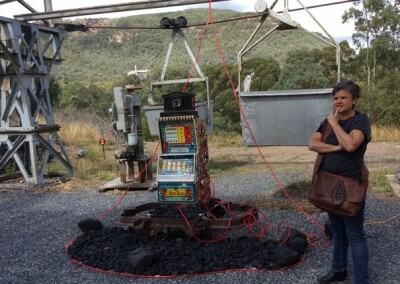 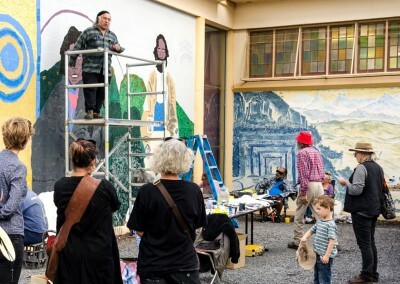 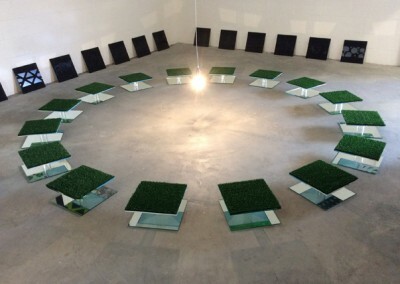 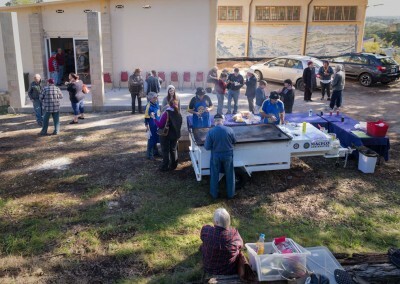 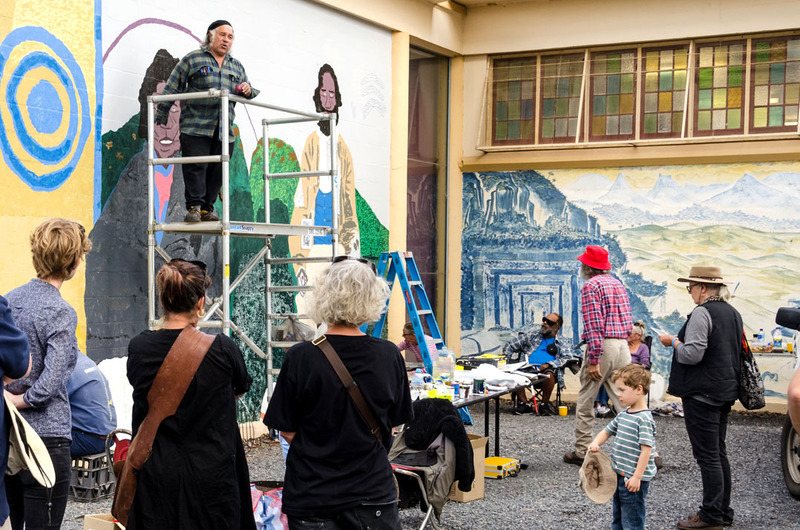 Cementa13 – the inaugural Cementa festival – staged contemporary artworks and performances at many venues around Kandos. 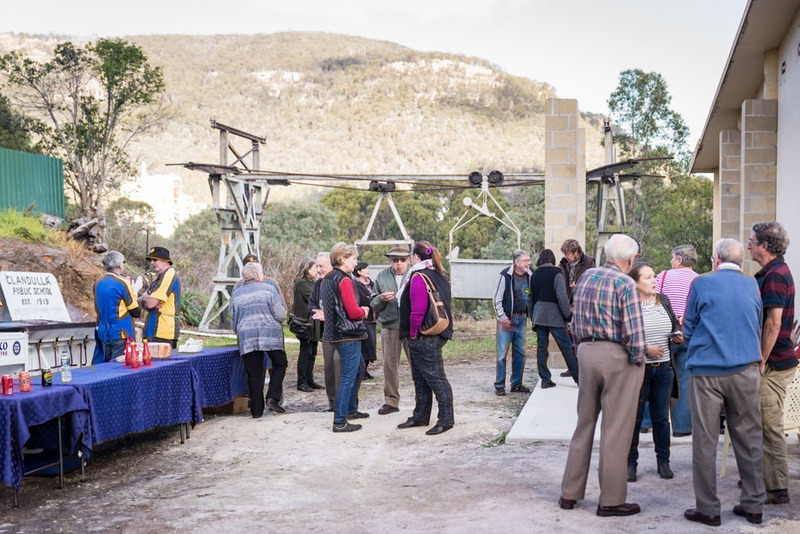 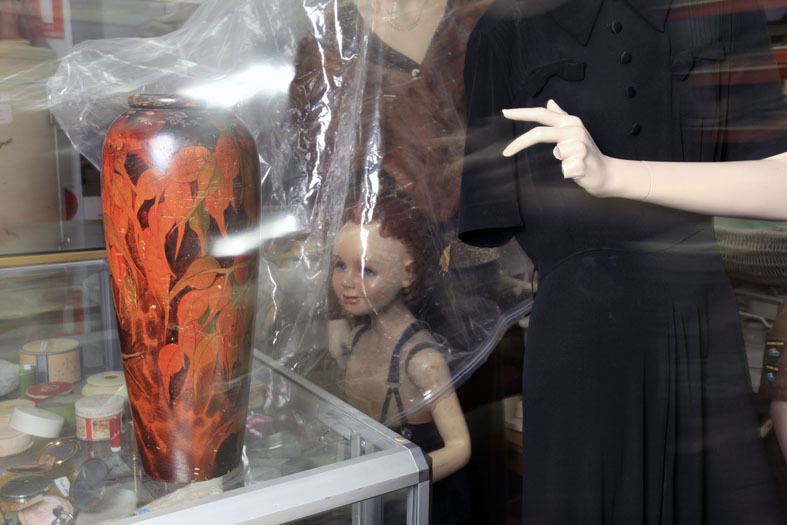 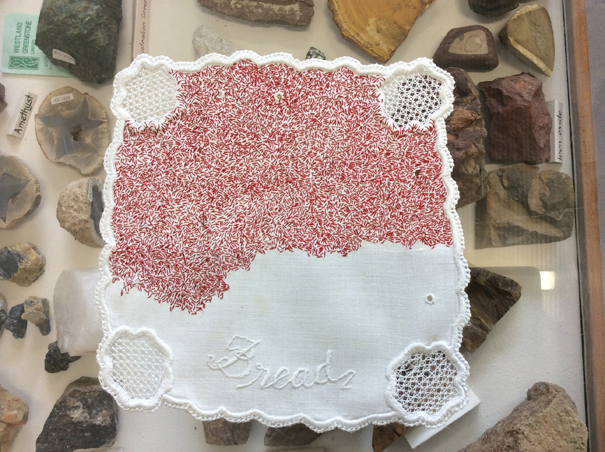 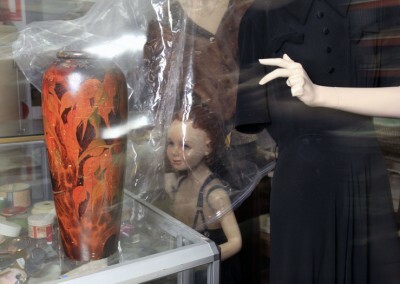 Cementa13 artists at the museum included Fiona Davies (Cane); Amanda Hills (Copper wire); Bronia Iwanczak (Sunset); Fiona MacDonald (Sunset Kandos); The Spectral Committee (Haunted Museum); Peter Williamson (Childhood).